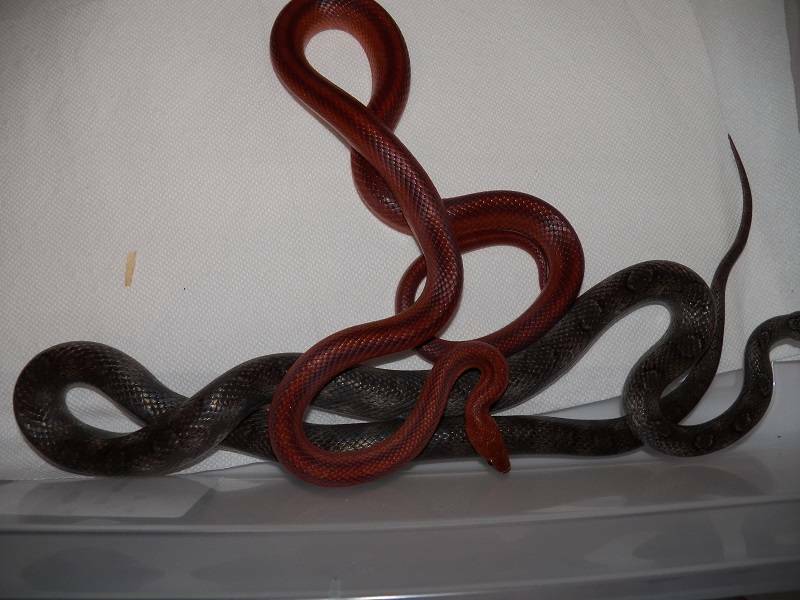 My beautiful dark bloodred het charcoal from Carol at LBR has finally successfully locked with Lacy, the most amazing pewter ever. With luck, in a couple months Lacy will give me between 15 and 20 tiny eggs full of stunning bloodreds and pewters. At least one male pewter will be staying here.